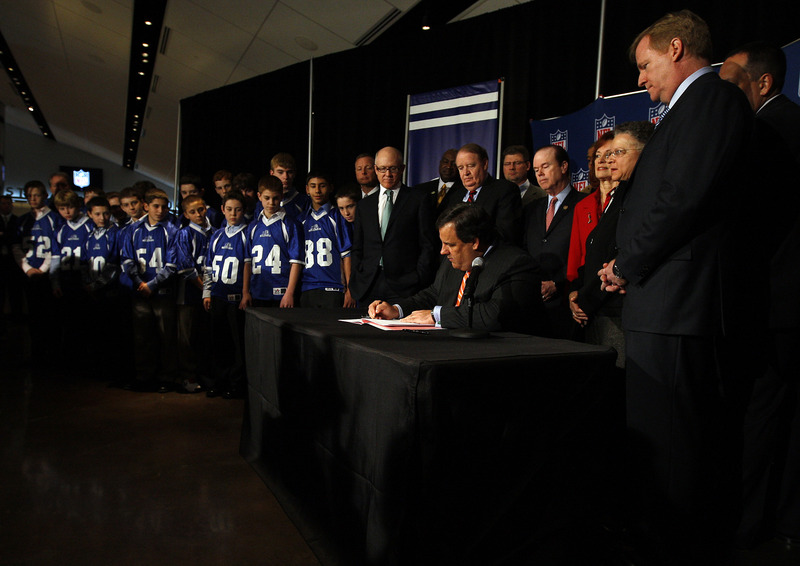 Governor Chris Christie signed A-2743, legislation to protect and prevent concussions in student-athletes across New Jersey’s interscholastic youth sports programs. The bill adopts a multi-faceted approach, requiring the Department of Education (DOE) to develop an interscholastic athletic head injury safety training program to be completed by school physicians, coaches and athletic trainers of public and nonpublic school interscholastic sports programs. The program that will be developed by the Department of Education will include the recognition of symptoms of head and neck injuries, and will address the appropriate amount of time a student-athlete must wait before returning to sports competition or practice after sustaining an injury. In addition, it will help ensure that school physicians, coaches and athletic trainers are properly trained to be able to identify a concussion as well as utilize the proper response during interscholastic sporting events. Each school district, with the assistance of DOE, will be required to develop a written policy concerning the prevention and treatment of sports-related concussions and other head injuries among student-athletes. Currently, there is no uniform method of handling suspected concussions in interscholastic sports. “We appreciate Governor Christie’s meaningful and proactive stand on protecting our young athletes by signing this comprehensive concussion safety legislation today,” said NFL Commissioner Roger Goodell. “By improving education, training and treatment, we can increase concussion awareness and work to prevent these injuries among our youngest athletes, not only in football, but in all sports.”. Concussions are caused by a blow or motion to the head or body that disrupts the normal functioning of the brain and can cause significant and sustained neuropsychological impairments. According to the federal Centers for Disease Control and Prevention, 3.8 million sports and recreation-related concussions occur every year. 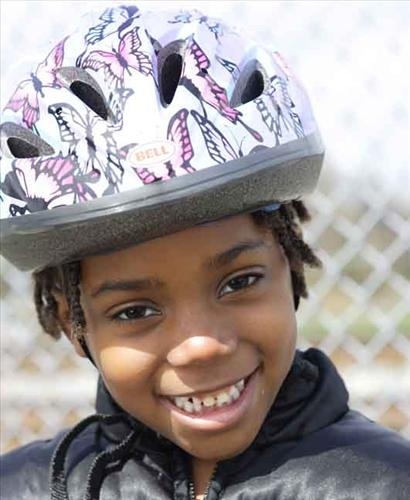 Spring is officially here, and with the warmer weather comes many opportunities for kids to be active. More than 30 million kids under 14 participate in organized sports, and more than one in 10 ends up in the emergency room after suffering from a sports injury. FIRST THINGS FIRST: Every child should receive a pre-participation physical evaluation (PPE) every year. These exams help with the prevention and treatment of any underlying conditions the young athlete may have. Action: Parents, talk to your child’s doctor and ask them to perform the full Pre-Participation Evaluation. You can download a copy of the exam here. BEFORE PRACTICE, PLAY OR COMPETITION: Warming up and stretching before play is essential. This helps athletes avoid injuries such as muscle tears or sprains by stretching and releasing any muscle tension. Action: Make sure there is time set aside before every practice and game to warm up. This could mean a light run, jogging in place or anything that brings the athletes’ heart rate up gradually. Instruct the kids on how to stretch muscles and holding for 10-15 seconds. HYDRATION: Hydrating well before, during and after practices and games is a must. Action: Make sure your athlete drinks about 12 ounces of fluid 30 minutes before activity begins; at least 10 gulps every 20 minutes of play and every 20 minutes during the first hour after the activity to make up for fluid loss. GEAR: Wearing the appropriate and properly fitted sports equipment can help avoid minor and serious injuries such as concussions. Action: Make sure your athlete has the proper equipment to perform at his or her best—this may include helmets, shin guards, ankle braces, shoes with rubber cleats, and sunscreen with SPF 15 or higher. QUALIFIED COACHING: Become properly trained and learn the sport-specific techniques that can prevent injury or illness that can occur. Action: Establish safety guidelines that athletes, parents and coaches will follow such as PPE requirements, hydration breaks and ways to prevent or detect concussions and overuse injuries. SUPPORTIVE PARENTING: Learn how you can help your child stay injury-free and optimally healthy. 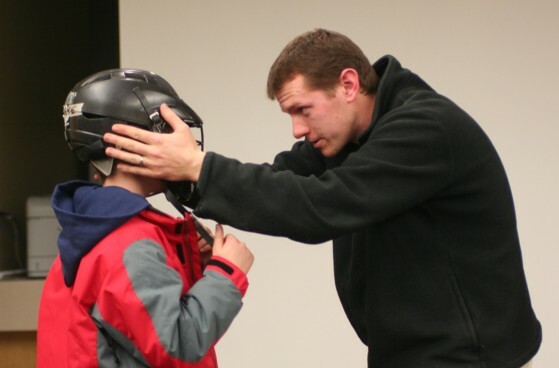 Action: Make sure the child receives a PPE by their doctor, encourage hydration before and after the game and learning about the signs and symptoms of a concussion are just a few critical action steps you can take. Parents, share the Safe Sports Tip Sheet and visit Safe Kids USA to take the Sports Safety Pledge. 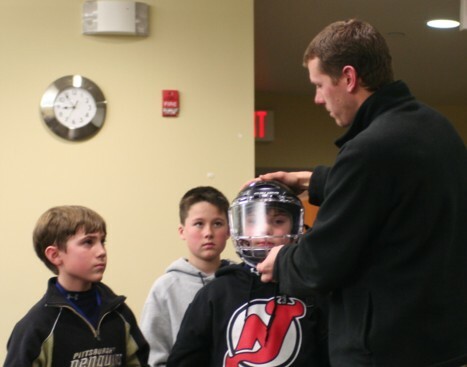 Find a Safe Kids New Jersey sports safety event near you.